The Blighted by Archer Garrett is a zombie novella e-book released back in January (I believe). Archer's website has a few preview chapters available to read and I must say I was impressed with what I read. The prologue chapter had zombie apocalypse already well entrenched, A holdout in Fiji comes under attack and is swiftly over run. A young scientist hears the alarms and has to barricade herself into her small lab as the hordes of undead pound on the only door. With her is perhaps the cure to the infection; a animal that is seemingly immune to the virus. I was on the edge of my seat reading this, it was really gripping stuff. I have had many cool nightmares where I am trapped in a room with zombies beating at the door trying to get in, so maybe that tapped into those memories for me! 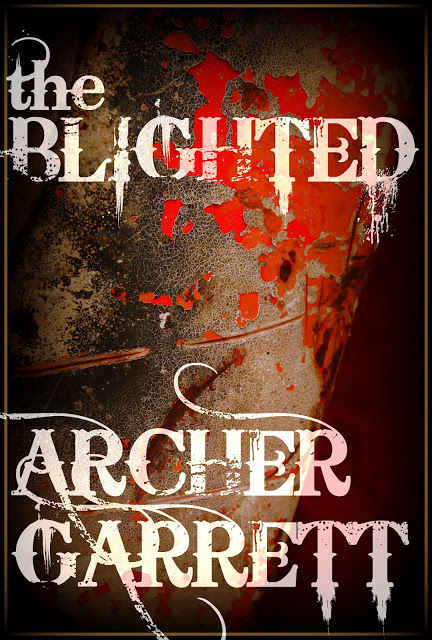 The Blighted can be purchased from Amazon for the cheap price of £2.02. To read some of his sample chapters head to Archer's website.